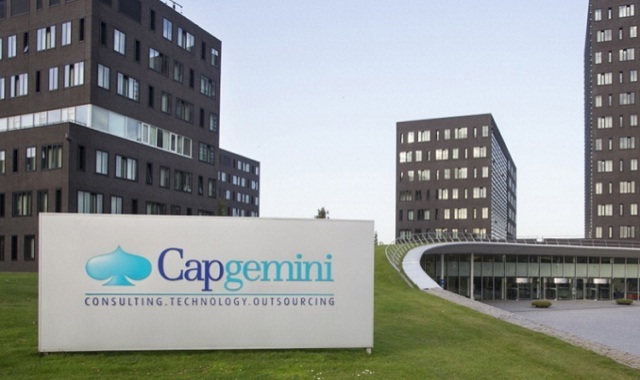 Capgemini Career Jobs Opening 2019 Associate/Senior Associate Posts Download Application at www.in.capgemini.com. Capgemini Career Job has Recently Announced 2019 regarding Associate/Senior Associate & Various Job Openings Interested and Eligible Candidates can Download Application Through Official website. Capgemini Walk-in Drive for Associate/Senior Associate -Apply Soon. OS: Linux servers, preferably Novel SLES. Switches/Routers: Cisco managed switch, Networking and hardware troubleshooting. Servers: HP, DELL, IBM Driver troubleshooting. Cluster: Basic load balanced Linux cluster. Knowledge of HL7/DICOM (optional and will be added advantage). Analyzing and understanding application/Event viewer/Network logs. Experience troubleshooting medical domain application (optional and will be added advantage). Tools ( Webex/ GotoAssist/ WireShark). Experience working in technical support process. Good communication skills (verbal & Written. 1.5+ years experience in Application/Technical support. Extensive problem solving and troubleshooting skills. Ability to independently apply production upgrades and support the products and technologies. Experience in providing services to agreed SLAs. Flexible in working outside of core business hours at short-notice. Provide first line technical support. Various work related report generations from CRM tool. Talking to clients and computer users to determine the nature of problems. Answer queries promptly, professionally and knowledgeably on the phone/email/Chat. Maintain polite, professional attitude to all clients. Installing and configuring applications, software, systems, networks, printers and scanners. Log all calls received on Salesforce accurately, efficiently and completely. Interact with internal teams and external 3rd party vendors to trouble shoot and resolve complex problems. Provide timely updates to clients on existing queries. Ensure the provision of consistently reliable and professional service by utilizing in depth technical and product knowledge and diagnostic skills. Develop expertise in the tools/Applications of client products that will lead to shorter resolution times. Escalate issues across business technical divisions expediting solutions to complex client queries and provide end to end ownership of client issues. Undertake proactive calling to ensure customer satisfaction levels. Proactively monitor team and make adjustments to meet optimum performance levels and advocate consistently maintained procedures. Achieve individual & team desk targets. Maintain good working relationships with internal departments as well as 3rd party vendors. Demonstration of ownership of problems. Please carry the mail print out to the venue. One copy of their updated resume.